If you receive a notice of an IRS audit, you may feel overwhelmed. However, an experienced tax lawyer can help you navigate the auditing process, protect your financial resources, and give you peace of mind. Call Sodowsky Law Firm, PC today at 703-505-4003 to find out how we can help. Field Audit – This occurs when an IRS agent comes to your home or business to review your records. You may have an opportunity to collect necessary documents before a field audit takes place. Office Audit – This occurs in-person at a local IRS office. You will be required to produce evidential documents that may be related to specific aspects of your tax return. Correspondence Audit – This tax audit takes place in writing. The IRS will send you letters and expect a detailed response. Depending on your case, the IRS may review your entire tax return or focus on one specific part of your filing. Frequently, an audit involves the submission of extensive information documenting your income and deductions. An IRS attorney can help you navigate the complex aspects of a tax audit. You may be unsure of what the IRS is asking for, and how to provide them with adequate information. A skilled tax lawyer knows exactly what the IRS needs as evidence that your taxes are accurate. During a tax audit, initial contact with the IRS will take place via mail. If you are contacted via telephone or email by someone claiming to be the IRS, it is likely a scammer. You may call the IRS or a tax attorney to verify that you are being audited. If you are informed that you owe the IRS money without an audit taking place, someone may be trying to steal your money. You should never give personal information to someone claiming to be the IRS via phone or email. Have overseas or offshore bank accounts. Other times, you may undergo an audit because of informant reports or other factors. What Records Will the IRS Request During an Audit? The IRS also has a set of standardized questionnaires that you may receive. While it’s best to keep detailed and organized records, it can be difficult to obtain all of this information. 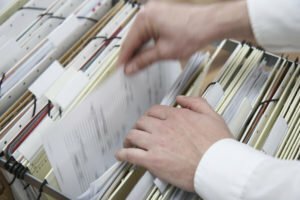 A tax lawyer can help you compile and organize your records, and ensure that you properly submit these documents within the IRS’ deadlines. What Can I Do About an IRS Audit? If you are concerned that the IRS is violating your rights, contact a lawyer immediately. An attorney can help you navigate the audit system and ensure that the investigation proceeds properly. Additionally, you have appeal rights if you disagree with the IRS’ findings. Depending on your claim, you may participate in mediation or a formal appeal to the United States’ federal courts (including the Tax Court, District Court, Bankruptcy Court, or the Court of Federal Claims). If you qualify for a Fast Track Settlement, you may be able to resolve your audit dispute within as little as 60 days. 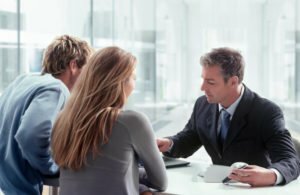 If you need help formulating your appeal strategy, a tax lawyer can evaluate your claim and tailor a plan that meets your needs. Do not volunteer information that the IRS does not request. Answer questions as concisely as possible. Be completely honest with the IRS during the tax audit. Consult with a tax attorney before, during, and after an audit. Speak with the IRS agent’s supervisor if you feel they are being unreasonable or unfair. Once a tax audit is complete, the IRS agent will give you an examination report evaluating the information that you provided. However, it can take years to obtain the report. In fact, the IRS has three years from the date you filed your tax return to give you a report. Many people owe money to the IRS as the result of a tax audit. If you owe a substantial amount of money, you may be able to obtain a monthly repayment plan with the IRS. You may also be able to negotiate the amount that you owe. A skilled tax lawyer can help you understand your legal options if you owe the IRS money after a tax audit. If you disagree with the decisions made by the IRS agent in the examination report, you may appeal the audit results to the IRS Appeals Office. This may require submission of additional evidence or a hearing. It can be helpful to work with an IRS attorney to optimize your response to the audit. If you disagree with the IRS Appeals Office, you may take your issue to federal tax court. It’s important to work with a lawyer when going to court. You will be expected to submit specific documents, evidence, and argue a point at hearings. A tax attorney can guide you through this process. How many tax audits have you handled? Have you worked with auditors at local IRS agency locations? Have you handled correspondence audits as well as in-person audits? What should I do after receiving a notice of tax audit? What kind of information do you need to answer the IRS’ questions? Do I need to give the IRS field agent specific information? Can you represent me at every stage of the tax audit, even if it goes to court? When you find an attorney who can answer these questions, you should work with them to manage your tax audit. IRS audits can be complex and time-intensive. Contact the Sodowsky Law Firm, PC for a detailed and confidential evaluation of your situation. With over forty years of legal and business experience, we can guide you through the audit process, negotiate on your behalf, and ensure that the IRS complies with federal laws and regulations.